St. Joseph’s Cemetery is located in East Chelmsford, Massachusetts. I had a hard time finding the cemetery, and had to actually purchase a map of the city of Lowell to make it easier to locate. The cemetery is fairly large, but fortunately, there is an office that is staffed. Their records are computerized and it did not take long to have the information in hand. 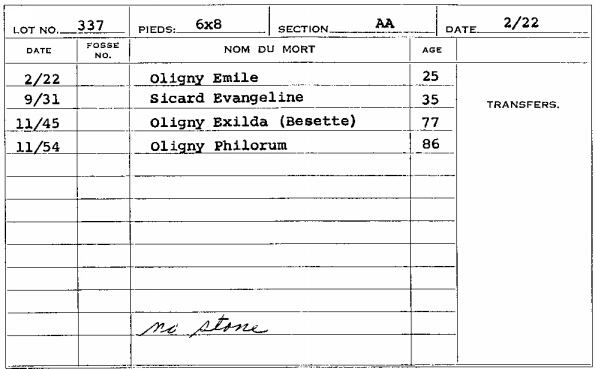 The first search for Oligny turned up empty, but I knew he was there somewhere. 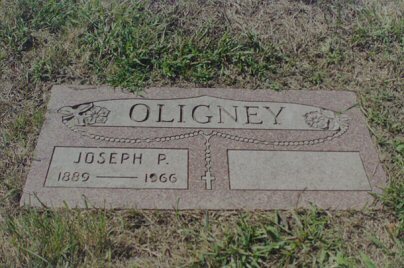 I had them search for Oligney and then I got more results than I bargained for. 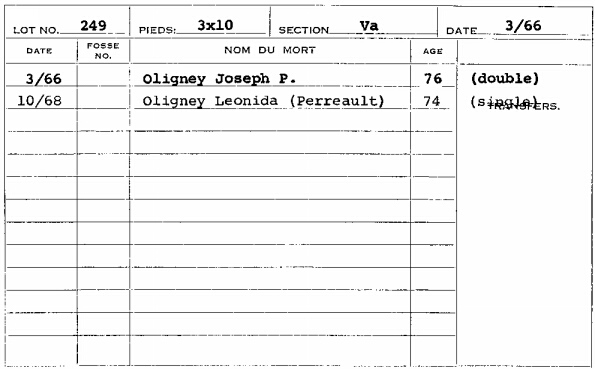 Not only is Joseph and his second wife, Leonida, buried there, but Joseph’s parents, Philorum Oligny and Marie-Azilda Bessette are buried there as well.